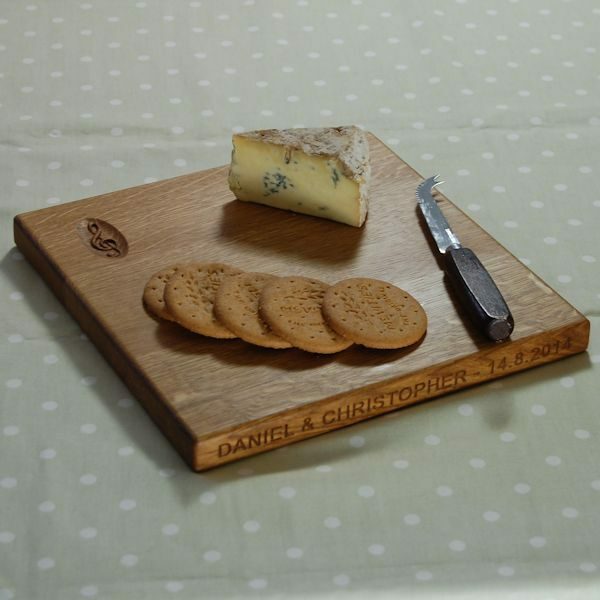 Differing from the traditional circular cheese board, our beautifully handcrafted oak square cheese boards add a touch of individuality to your table. 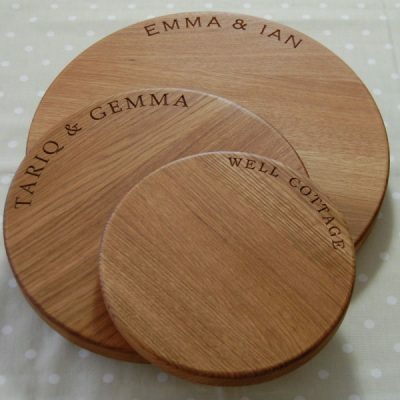 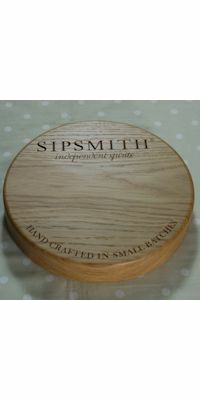 With a variety of standard sizes in two thicknesses (2.7cm and 4cm), all made from full-length stave oak. 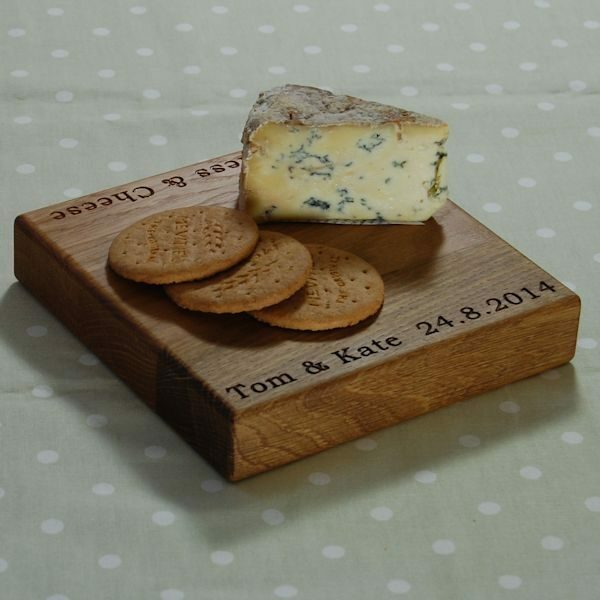 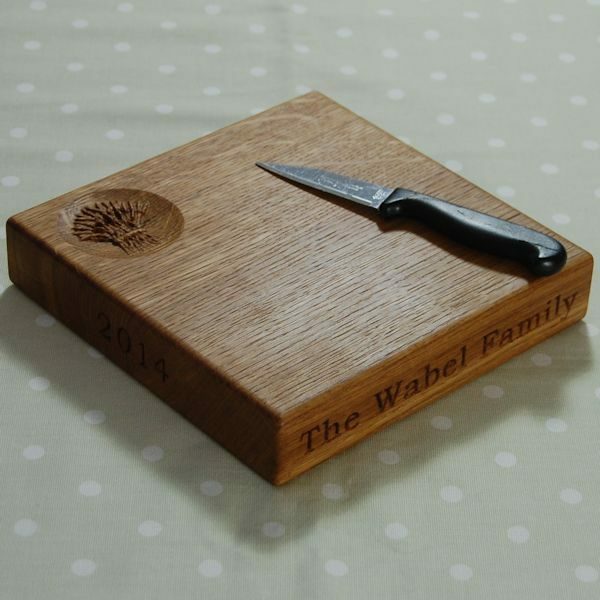 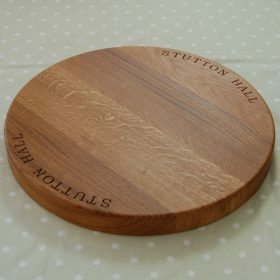 As with all our boards, they may be personalised with your own message or a design from our range of 2D and 3D motifs. 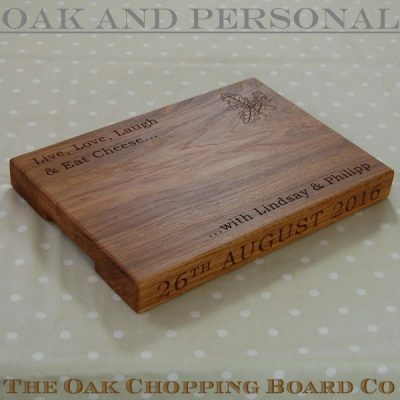 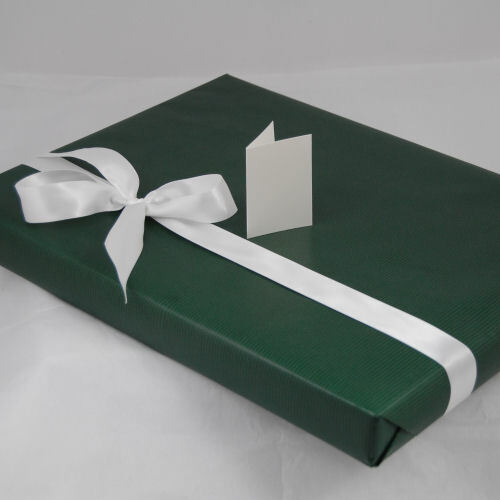 We can also create your own unique personalised cipher to add that extra special touch. 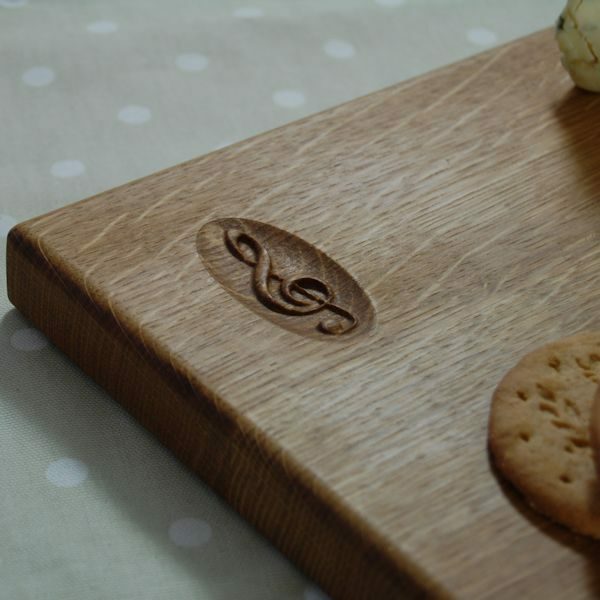 All of which adds up to the perfect accessory to the perfect meal. 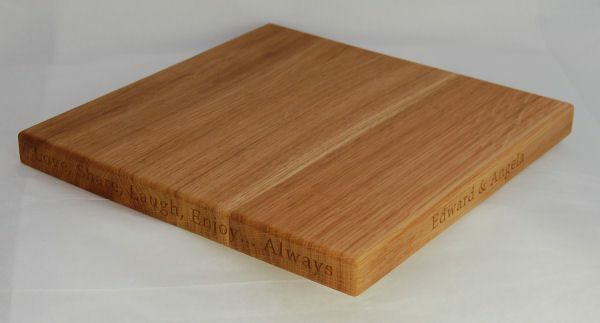 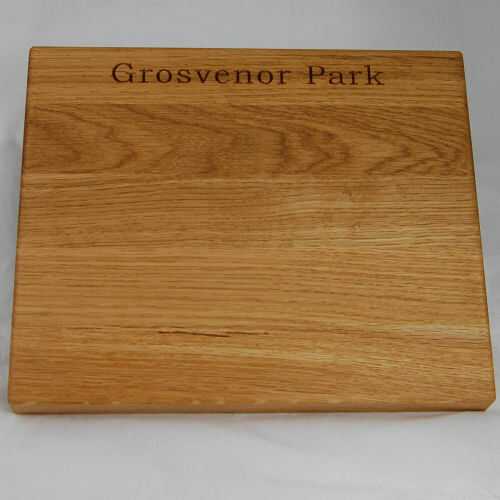 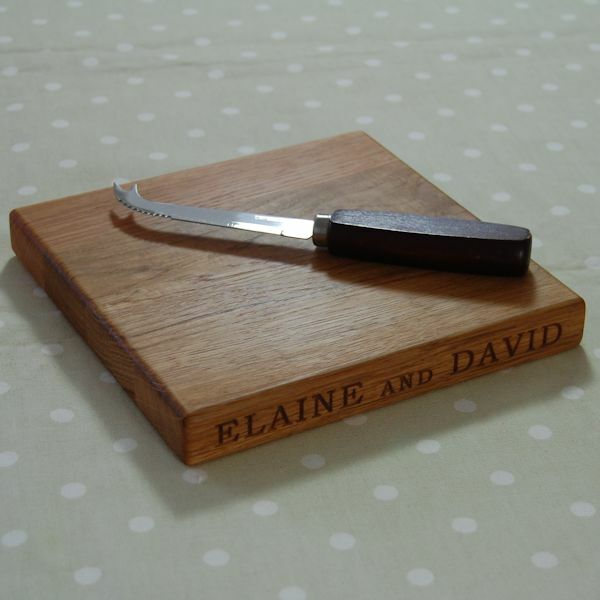 If you would prefer a square cheese board with groove on the face to collect crumbs, take a look at our chopping boards which can be ordered with an optional groove. 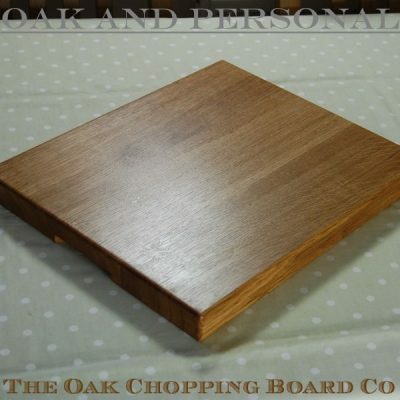 Oak is naturally anti-bacterial but we will additionally treat your wooden cheese board with a blend of natural oils and waxes before it leaves our workshop The finish primarily contains food-grade white mineral oil and beeswax, and along with other natural oils and waxes, provides solvent-free, 100% food-safe protection. 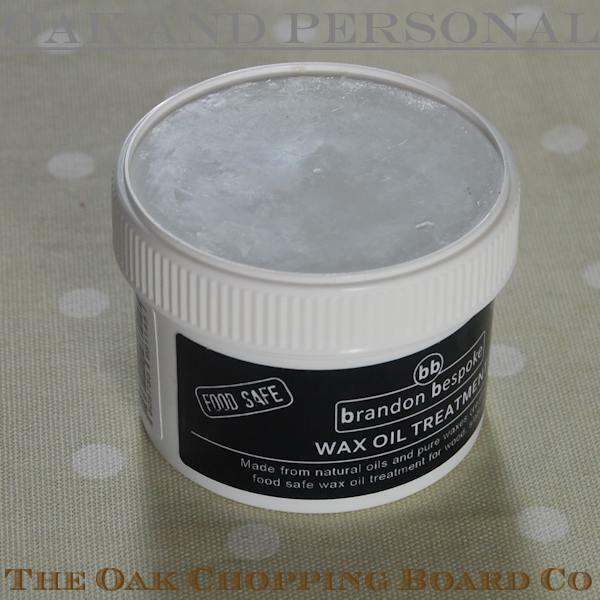 To maintain the beauty and durability of your cheese board we recommend it be periodically treated with Brandon Bespoke Wax Oil Treatment.